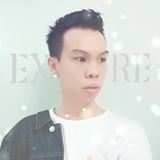 @jackson95 is on Carousell - Follow to stay updated! ONE ver.CD + Photobook + Calendar Card (Random 1 out of 12) + Photocard (Random 1 out of 11) + Mini Standing Doll (Random 1 out of 11) + Golden Ticket Items are brand-new, unused and undamaged. Editorial Reviews ■ Release Date : 2016.03.02 ■ Subtitle : Korean, Chinese, Japanese ■ Region Code : All ■ Running Time : 200 min ■ Package : 2DVD + Photobook ■ Ready Stock ■ Original Album [Track List] Disc 1 01. Intro Exo'luXion 02. 중독 (Overdose) 03. HISTORY 04. EL DORADO 05. Ment 06. This exclusive Funko POP! vinyl features your favorite Disney princess in a lovely sparkling dress. It measures 3.75 inches tall and comes in a windowed display box. It is ready stock and will be delivery by a safety big box.